Inspired by the great enamelled signs of the last Century, our classic signs with a modern twist offer modern printing techniques onto a composite substrate. Not to be confused with cheap, thin plastic sheet signs found at many jumbles, these are made to signage standards using the same equipment. If you are an organisation or club wanting a small run of bespoke signs for your members, drop us a line. 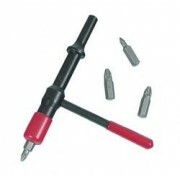 We can help you design and produce them at reasonable cost. Please note the sizes below are not proportional, check the specific sizes on each product page. 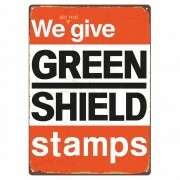 CLICK THE MAGNIFYING GLASS TO ENLARGE Rectangular 'We Don't give Green Shield' Sign 500mm x 360mm (just over 19 1/2" x 14"). Semi-matt finish reduces reflections. A classic reborn! - with a slight twist. Printed on a stiff 3mm signage grade aluminium faced composite with .. 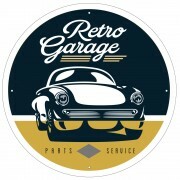 Round 'Retro Garage' sign 435mm (just over 17") in Diameter. Semi-matt finish reduces reflections. Looks good on any classic garage wall. Printed on a stiff 3mm signage grade aluminium faced composite with pre-cut holes to speed mounting. Rounded corners. 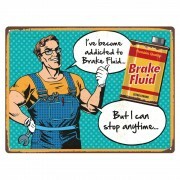 ..
CLICK THE MAGNIFYING GLASS TO ENLARGE Rectangular 'Addicated to Brake Fluid' Sign 450mm x 340mm (just over 17 1/2" x 13"). Semi-matt finish reduces reflections. Car nuts get the joke, 'normal people' it just goes over their head. Looks good in the 'Man Cave'. ..
CLICK THE MAGNIFYING GLASS TO ENLARGE Rectangular 'Classic? 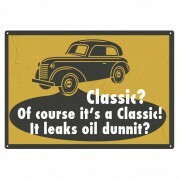 Of course its a Classic' Sign 446mm x 312mm (17 1/2" x just over 12"). Semi-matt finish reduces reflections. Car nuts get the joke, 'normal people' it just goes over their head. 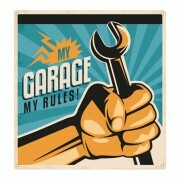 Looks good in the Garage to..
'My Garage, My Rules' Sign 300mm x 312mm (Roughly 12" square). Semi-matt finish reduces reflections. Demand respect in your domain! Printed on a stiff 3mm signage grade aluminium faced composite with pre-cut holes to speed mounting. Rounded corners. 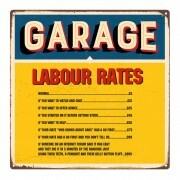 ..
CLICK THE MAGNIFYING GLASS TO ENLARGE Joke 'Labour Rates' Sign 300mm x 300mm (roughly 12" square). Semi-matt finish reduces reflections. 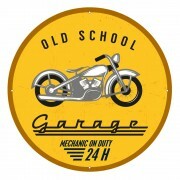 Anyone who has suffered at the hands of an internet expert will like this and hopefully shut up anyone in your garage with an opinion on how you sh..
CLICK THE MAGNIFYING GLASS TO ENLARGE Circular 'Old School Garage' Sign 374mm x 374mm (just over 14 1/2"). Semi-matt finish reduces reflections. Printed on a stiff 3mm signage grade aluminium faced composite with pre-cut holes to speed mounting. 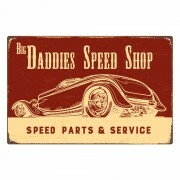 Rounded corners.Printed on a stiff ..
CLICK THE MAGNIFYING GLASS TO ENLARGE Rectangular 'Big Daddies Speed Shop' Sign approximately 450mm x 300mm (just over 17 1/2" x 12"). Semi-matt finish reduces reflections. American influence for the 'Man Cave'. 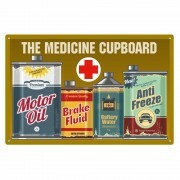 Printed on a stiff 3mm signage grade aluminium faced com..
Rectangular 'Motorists Medicine Cupboard' Sign 484mm x 316mm (19" x just over 12"). 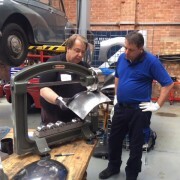 Semi-matt finish reduces reflections. Printed on a stiff 3mm signage grade aluminium faced composite with pre-cut holes to speed mounting. Rounded corners. ..